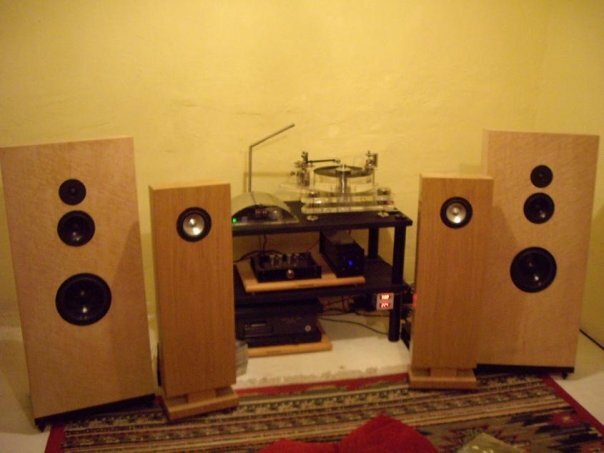 Hi Troels, I’m currently listening to your PMS design (see attached pics), It’s a flat not curved baffle though with a recalculated single side firing reflex port, sounds really really good. These are build from 32mm (2x16mm) very good grade baltic birch plywood, some serious chamfering was needed to the back side of the drivers, finally I applied on all sides a very nice looking Birds Eye Mapple wood veneer with satin clear varnish. 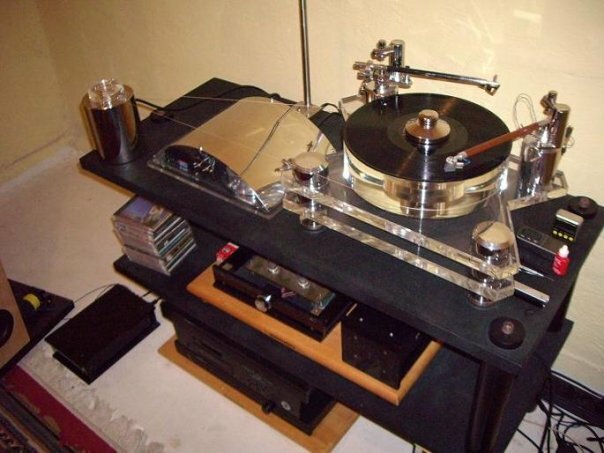 The turntable and tonearms took me a year or so to build, got a magnetic levitation main bearing, the tonearms are Schroeder inspired, they beat the crap out of both the Morch DP6 and SME5 I had as a reference the time of build.